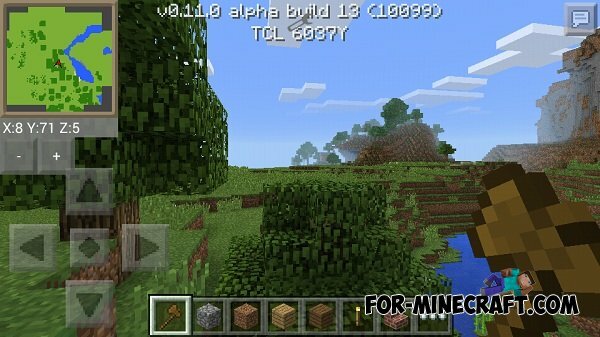 After the release of more stable BlockLauncher for Minecraft Pocket Edition 0.12.1 we can present you the first mod that was developed for 0.11, but it works on version 0.12. The mod adds a mini-map that will help you navigate the terrain. You can also customize the map - change the size, zoom, change the cursor, and more! Minimap - is a multifunctional modification that adds a mini-map with which you will be able to more clearly focus on the area, as well as it will help you, and show the resources and biomes near you. 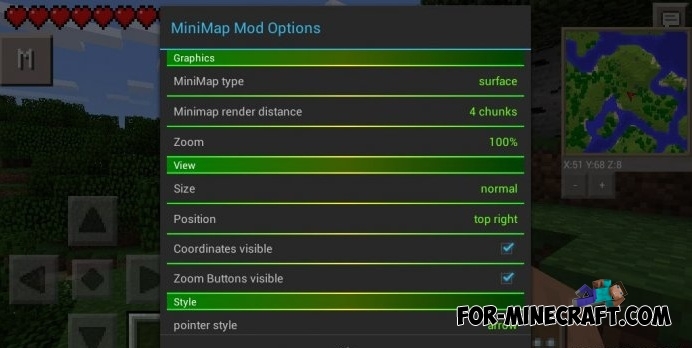 Mini map is very easy to use and has a number of settings for the pocket version of the Minecraft. This mod adds to the game a color map that helps you not to get lost. In addition, you can configure it differently. Additional features of this mod in your game interface will be a special mini map. Mini map will be small and it will be in the upper left corner of the screen of your smartphone. With this mini map you will always know your location and it will help you avoid getting lost in the gaming world Minecraft. ain't nobody got time for that! But actually this is a pretty cool mod! How do you download it?